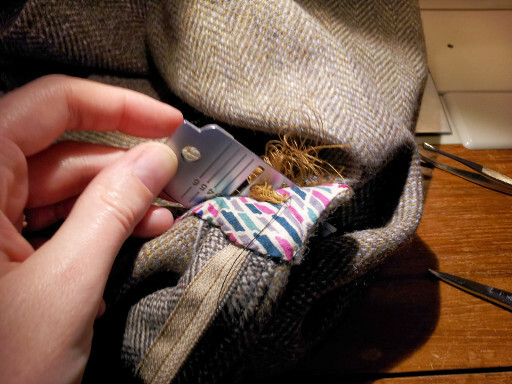 In my limited experience, making those little things that accompany activities are not quick to make! You know, project bags, needle books, pincushions, things for the kitchen – they can take a few hours. So, I don’t tend to make a lot of them because I’d rather be making clothes. That said, this was a particular need. I’m quite a clumsy person despite trying to be careful. I can do very delicate things with my hands and I’m good at visualising things, especially in 3D, but I tend to forget where I am and that, my friends, is a recipe for tripping, knocking things over and falling up and down stairs. So I can imagine myself on the stairs with a cup of tea and where each foot is in relation to each step but when I am actually ON the stairs, my mind is at my sewing machine and that is when my cup of tea meets the stairs. All this to say that I am sick of knocking my box of pins over and inevitably coming up a few short each time. 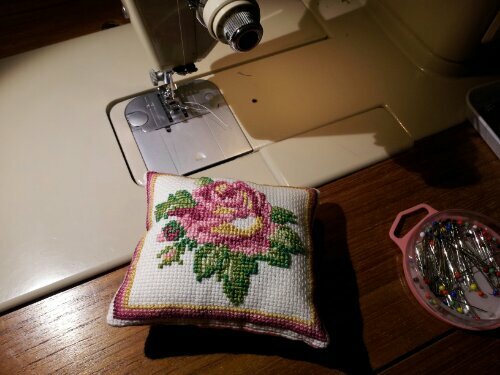 A pincushion was needed. 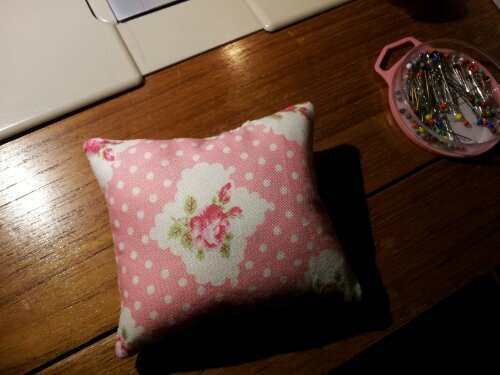 But why make an ordinary pincushion? I could use this as a reason to try something out. 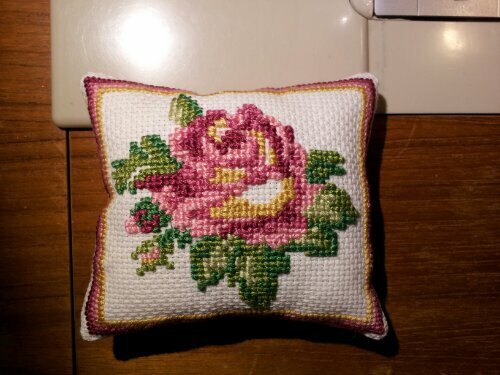 I thought that perhaps something in cross-stitch would give a good firmness to the cushion. I looked on etsy and found this design as a digital download from this shop. Upon visiting now, I see that this particular design is not offered for sale at the moment but it will probably be listed again. I had most of the colours already in my little floss stash, as well as some blank aida. The design says that it’s for tapestry yarn and for a much bigger type of canvas but I didn’t want anything too big or heavy, so I stuck with what I had. I used a little Tanya Whelan fat quarter for the backing. It was in my embroidery box and I had forgotten about it, so it was a nice surprise that it matches so well. I stuffed it with some polyfill and let me tell you, it really took a lot! For such a small thing! The pattern was very clear and easy to follow. I probably could have made life easier for myself by using a few less strands of floss – I used the full six strands – but I didn’t want to risk having less than full coverage. I wasn’t bothered filling in the white patches with white floss but other than that, I worked it as per the pattern. I’m not going to say that that’s the end of pins on the floor but it’s a start! Last week was incredibly frustrating. Sometimes I have these days where I hit a roadblock and am able to overcome it the next day, but last week was a doozy. Wrong! That is the needle plate stuck in the middle of that mess. 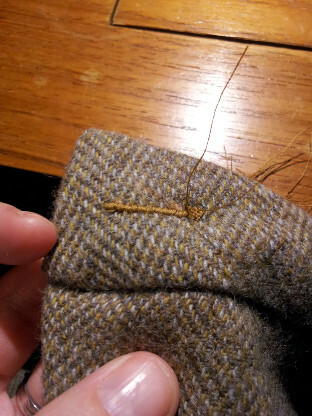 Needless to say I had no more matching thread after that one. I adjusted my tension (only by 1 notch!) and it worked fine the next time around. Phew! The skirt turned out great and I can’t wait to show it to you. Prompted by thoughts of showing it here, I thought that maybe I would make something to go with it. I think pale blue is an interesting match with a tweedy brown so I got going on some beautiful chambray I got here. I always had it in my mind to make a shirt with a henley opening at the front so I got to work adapting my Archer pattern. Well. A combination of a full teaching week, extra rehearsals and coaching for a project (at least five hours), cold weather, childrens’ germs and staying up late for no reason got the better of me. For a start, I decided to use a tutorial I found on Flickr. I love Flickr but it’s not very good for following a tutorial. Confusion was compounded by the fact that this tutorial was not exactly for what I wanted. Do you think I could find the centre front of the pattern piece? Do you think I could compute measurements for plackets and seam allowances? Do you think I could make two pieces the same length? Dear God, it was a mess. 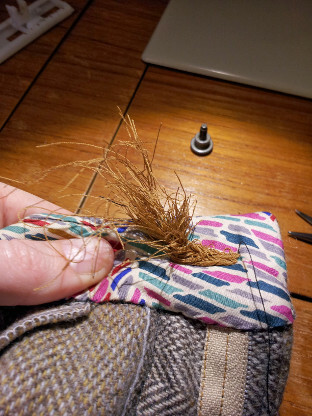 I cut five plackets, fused interfacing to the wrong sides of two, cut two plackets half the needed width, sewed one on upside down, sewed it on again back to front, sewed on the other upside down AND back to front… it took me five sessions to just get the plackets on. What is up, brain? 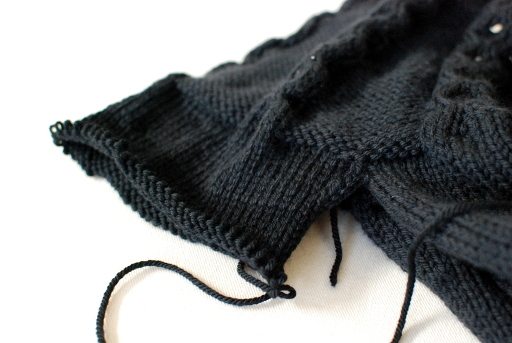 The good news: the plackets are straight, stay flat and line up. The bad news: I somehow removed about an inch at the neckline. Upside: I never wear shirts buttoned all the way up and it’s not too much work to adjust the collar accordingly. Despite my befuddled state, it was a good lesson in understanding fully what I want to achieve. I admit that I wasn’t entirely clear what needed to be where. Now that I have it done, I will do it again my own way knowing what I want in the finish. My knitting wasn’t safe, either. 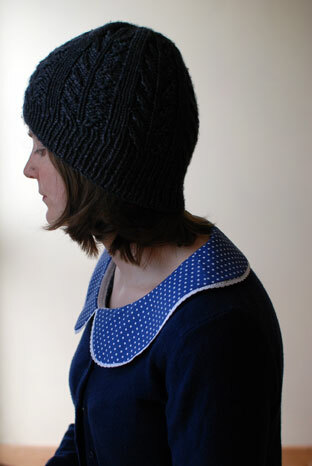 Using my strong desire to cast on a spring sweater (it’s not too early to dream, right? 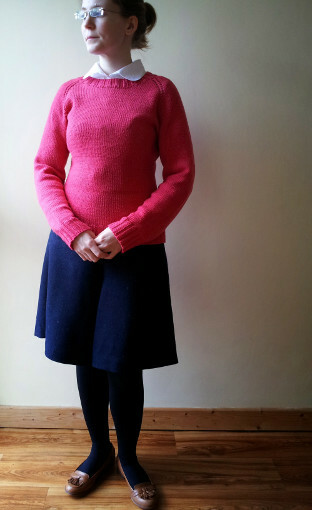 ), I bit the bullet and finally picked up all the stitches to work the button band and collar on my Larch cardigan. I ended up ripping out the collar four times thanks to picking up on the wrong sides/the wrong way/lopsided/right the first time. My patience has been well and truly tested but I think I’m through it. Sigh! I started doing these outfit posts in spring last year and I found it a really good incentive. It gives me a focus for the month – sometimes I feel pulled in different directions – and it’s a decision I don’t make lightly. I try to make things that go with other things I have. I have on occasion made an outfit that doesn’t really go with many other things (like this) but I try not to do that. Anyway! Here’s January’s. Good basics. 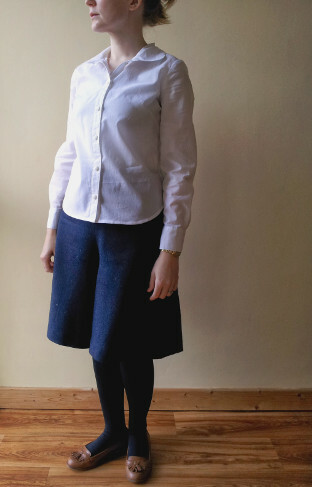 The pattern for the blouse is an experiment in combining features of the Grainline Archer shirt and the Lisette Traveler shirt. 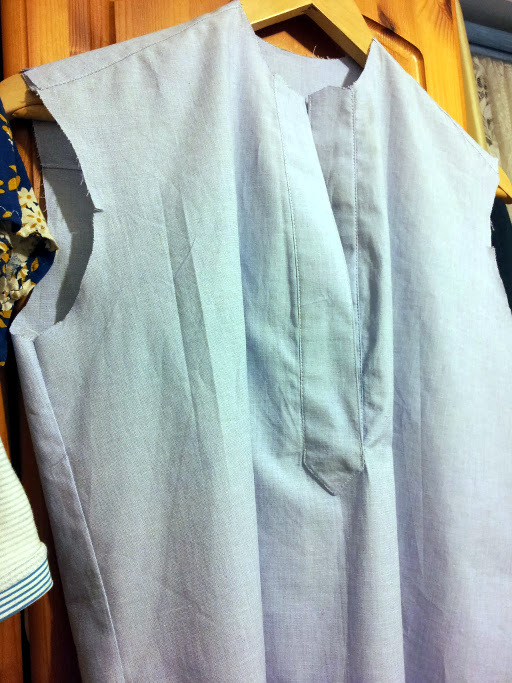 Mostly, I just used the bodice, collar and hem curve of the Lisette pattern and the sleeve length and cuffs of the Archer. It worked ok I think. It looks better tucked in. I used some basic cotton lawn which I had to order from Truro because it is impossible to find here. As you can see from the photos, it’s reasonably sheer but considering that I rarely wear a blouse without something over it, I don’t care about indecency. I don’t think I’ll remake this iteration, although it was a good exercise. I think for me, I like two totally different types of blouse. One is like a true Archer shirt – loose and casual with no darts; the other is a true dress shirt – fitted with darts front and back. I have yet to find the perfect shirt pattern but I grow closer as I refine my needs. 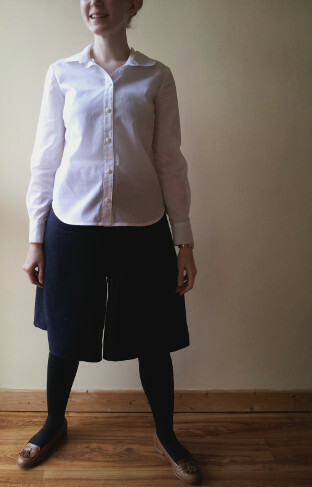 The skirt is actually a pair of culottes! 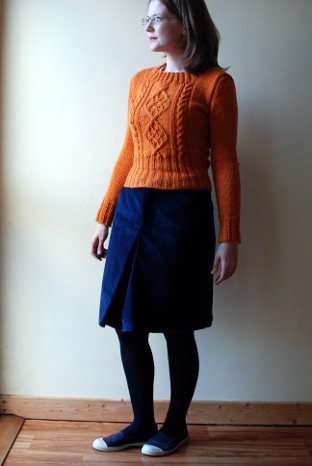 When I saw Burda 6980 last autumn, I knew it had to happen. 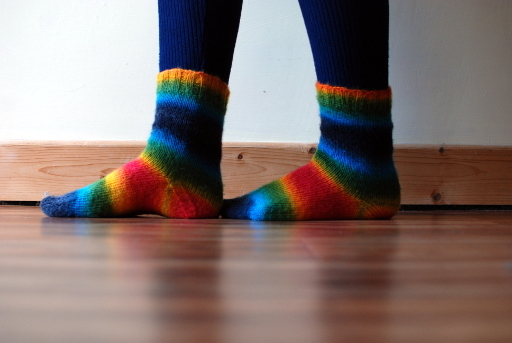 I used to have a pair as part of my school uniform in national school and even then, I thought they were amazing. 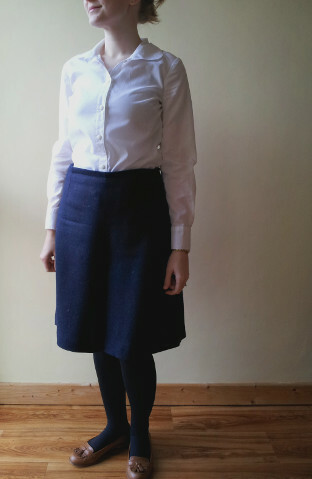 I bought 1.5m of the navy herringbone from Murphy Sheehy’s expecting to need it all, given that culottes are really just giant shorts, but I got this out of 85cm comfortably. Incredible, really. I have enough for another skirt! 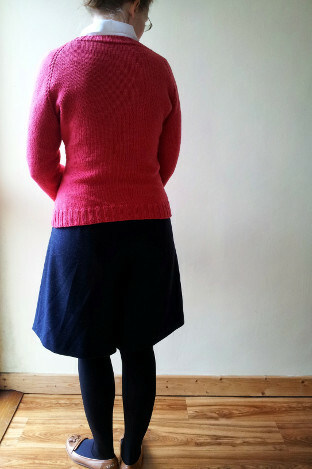 A special mention for this pattern and the individual Burda patterns. I’ve made a reasonable amount of patterns from both the Burda monthly magazines and the individual patterns that you buy from the catalogue. Although the magazine patterns tend to be more simplistic, I have found the drafting in both to be, by and large, really excellent. Their sizing and proportions are really geared towards reality rather than an ideal, particularly in their pants. This pattern is a perfect example. Usually I have to grade between two sizes to get the fit between my waist and hips right but in Burda, that’s just one size and absolutely spot on. So, about the pattern. It’s very simple with a zip at the side and facings that go on the inside. 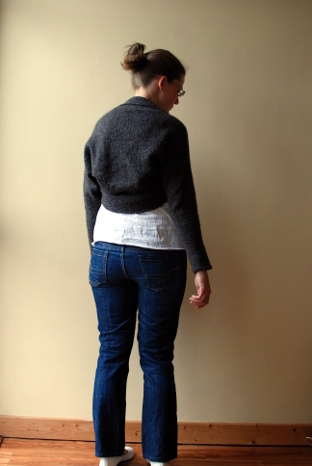 The back facing is split in two to facilitate any fitting needed. 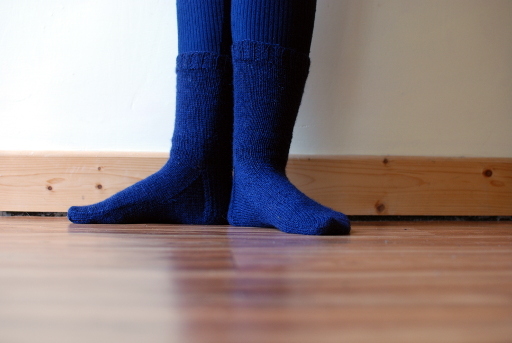 I sewed my facings on to lining because the wool would stick to my tights otherwise. So, nothing very exciting but I’ve already worn both lots. 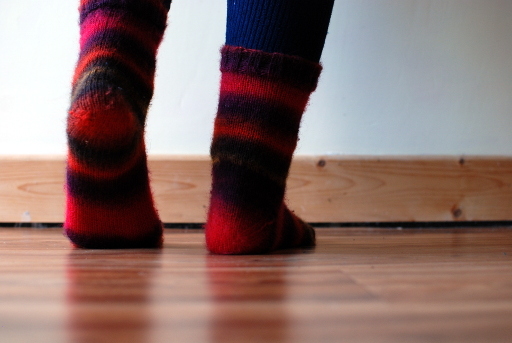 Wishing you happy sewing and knitting for the weekend! …which I had to rip out. 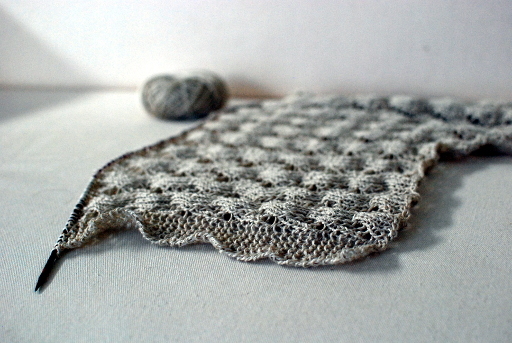 I still haven’t reknit it. 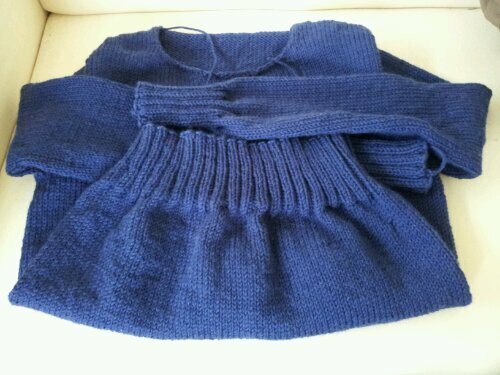 I finished a linen top and even blocked the pieces! But I have yet to seam it – once autumn came I had no real impetus to finish it up. 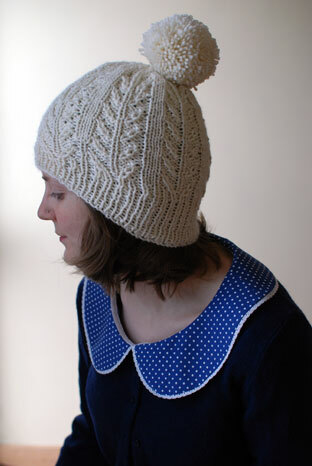 My knitting hopes for 2014 are to knit a little more and to show more! I have an exceptionally fine and well-curated stash and I want to work out of that more. 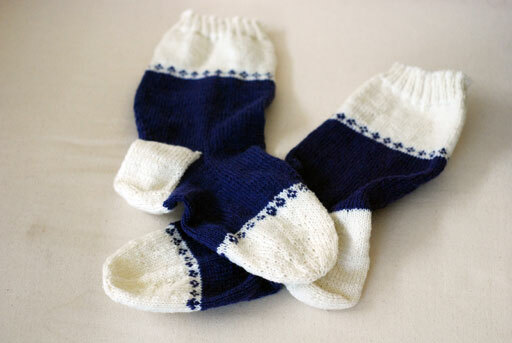 Do you have any knitting hopes and dreams? Share with us!